I purchased this with a curiosity. 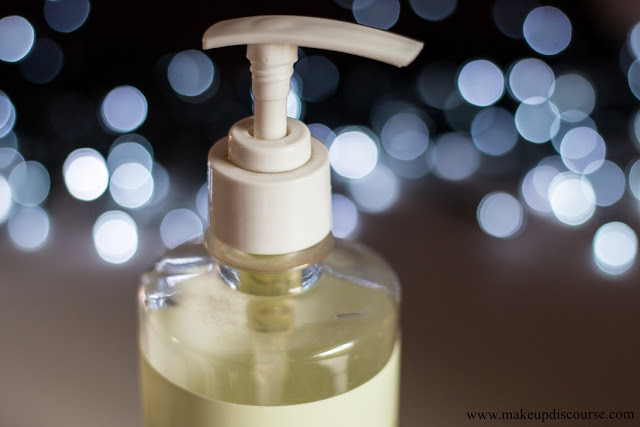 What surfactant must be used in the formulation? Will this be my Holy Grail Shampoo which is not tested on animals and does not contain animal derived ingredients? Here is my in-depth analysis on the ingredients. I was excited when I bought this to add to my List of Cruelty free and vegan shampoos. Organic Harvest claims to use organic and chemical free ingredients. The products made without Parabens, Artifical colourants and animal derived ingredients. The packaging is minimal, almost ordinary. 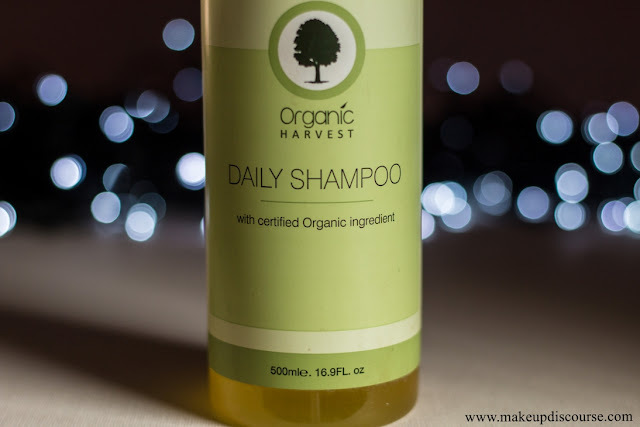 How I use Organic Harvest Daily Shampoo? When I first opened the bottle, the liquid with its colour and fragrance reminded me of sugarcane juice. Every time I used it, I wanted to glug down a tall glass of sugarcane juice. The image of sugarcane juice would not leave me alone. So the first thing I did was looked up the ingredients and researched on them. I have wasted, a lot of it by using it in exceeding amount. For three weeks I could not decipher the amount that should be used, a lot of it was wasted and lost a lot of hair every time I shampooed. In the hope of that squeaky clean feeling! But one fine day, I used just a pump and voila there was zero hair fall while shampooing. It is as mild as Baby shampoo. All you need is just one pump for normal-oily hair and two if you have oiled them. My essential oil hair rinses work well with the shampoo. I love the volume I achieve when I use this. 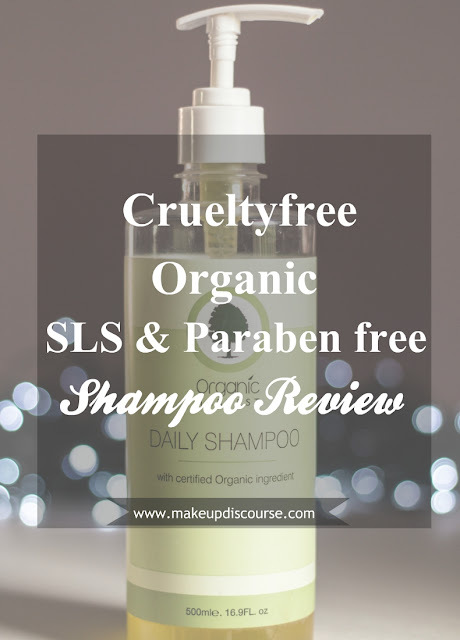 To put the whole review in one sentence, OH Daily Shampoo is the best vegan and cruelty free alternative to SLS based shampoos. My mother who colours and touch ups her hair every 45 days and thinks that her colour lasts longer. Mostly, her curly hair is more manageable and frizz free. I miss the slip while massaging this onto my scalp. That is the only thing I dislike about this shampoo. And missing Ingredients list too! When I could not get the sugarcane juice out of my head, I looked up at the key ingredients mentioned on the bottle. Certified Organic Decyl Glucoside, Glucoside was all I needed. Decyl Glucoside is plant derived and biodegradable, derived from corn and cane sugar. Sodium PCA is a humectant; Pyrrolidone Carboxylic Acid (hydrating agent) additionally functions as skin replenishing agent. And the key ingredients list comes to an end. Incomplete ingredients, I don't like them! Organic Harvest does not forget to mention that the Shampoo is Paraben free, Phthalates free, Mineral Oil free, PABAfree, Petrolatum free, Paraffin-free and free of animal ingredients. And not to forget not tested on animals, not even the raw materials used. The ingredients used in the formulation are USDA-certified organic ingredients as well as Eco-certified ingredients. Chemical free shampoo? Sulfate free shampoo? I love the body my fine hair has achieved. My scalp does not turn oily until 3rd or 4th day. I can get away with diluting the shampoo for the mildest scalp cleansing. I have used 450 ml in 7 months. I am left with few more washes. If you dislike the fragrance, you can add essential oils to improve its efficacy. I don't think I have any reason except the missing Ingredient list. My mother thinks this is the best sulfate free shampoo for colour treated hair. I think this is probably the best chemical free shampoo for thin and fine hair. 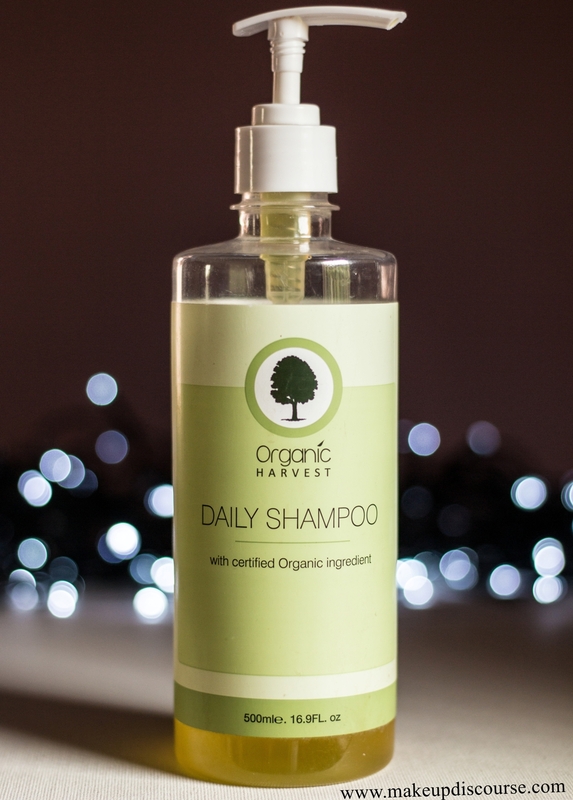 Organic Harvest is not tested on animals and does not contain animal derived ingredients. I would certainly give this a try! It sounds like it would be fabulous for my hair. I have been looking for some new hair care products so I'll have to add this to my list. I love that it's cruelty-free! I only use sulphate-free shampoos and I have coloured hair so I'll have to give this a try. I will have to check this shampoo out and see if my daughter loves it. Maybe I should take care of my hair more but I don't generally like it growing out long, so I guess I don't look at my shampoos much. I do like that they are organic. Great review and interesting to read! This shampoo sounds amazing and glad to know that its vegan and organic! I'll check it out! This vegan shampoo needs to be tried i think. Organic products always tend to be more efficient. I like everything organic - best for skin and hair health. Let me check this out on amazon. Such great advice. I love the degree to which you researched this product. Thank you for the review. I've never tried an organic ingredient shampoo. This is a must-try! Very impressed by the length you go to in explaining what you look for in personal products like shampoo and in your review of this specific product. Sounds like this one is a winner!